Parents rejoice! The summer holidays Top 8 Smartphone Apps To Take On A Summer Break Top 8 Smartphone Apps To Take On A Summer Break If you just can't put down that smartphone, what are this summer's must have apps for your well-deserved summer break? Read More are coming to an end. If you’re a working parent, that means you’re going to save a ton of money in babysitter and daycare fees. If you’re a stay-at-home parent, it means you can forget about dragging yourself around kids’ science museums and public swimming pools for another year. Regardless of how happy you might be to see your kid(s) go back to school, you still want to make sure that they’re going to start the new school year on the right foot. Here are seven Android apps that kids need on their devices this year. At its core, Studious is a calendar that tracks class and homework schedules on your phone — but its capabilities extend far beyond being just another Android calendar app The 8 Best Free Calendar Apps for Android The 8 Best Free Calendar Apps for Android Want to see which of the best free calendar apps for Android is right for you? We compare several great calendar apps to find the best. Read More . For example, it will automatically silence your phone during class hours, remind you when upcoming assignments and tests are due, provide you with a full-featured to-do list manager, and enable you to save notes to particular classes in an Evernote-esque fashion. The best thing is that this app is appropriate for kids of all ages — whether you’re just starting out at high school or in your senior year at college. Grade Point Averages (GPAs) are a curious quirk of the United States’ education system. Research has consistently shown that GPAs are one of the best indicators of future employment success, and that since 2001, American companies have increasingly been making hiring decisions based on a candidate’s GPA. It’s an approach that differs greatly from the typical European model. Given your GPA can be so influential on your future, it’s vital that you understand it, and you’re aware of if you need to improve it. Unfortunately, given the balance between scores and credits, it can sometimes be difficult to work out with a simple calculator 5 Free Calculator Apps If You Aren't Happy With The Windows Calculator 5 Free Calculator Apps If You Aren't Happy With The Windows Calculator Read More . The GPA calculator app lets you select your credit hours, add the grade received in a specific course, and even perform calculations for numerous semesters and quarters — all of which is combined to give you a snapshot of your current standing. Parents — remember when you were a kid? If you either couldn’t spell a word or didn’t know the meaning of a word, you’d be told to look it up in the dictionary. In my opinion this was always flawed — how could I find a word that I couldn’t spell? That’s not a problem for today’s kids, thanks to apps like the Merriam-Webster dictionary. In addition to the usual text look-up options, it also includes voice search for those longer or tough-to-spell words. The app has all the standard fare you’d expect from a dictionary app, including a thesaurus, synonyms, antonyms, example sentences, and a Word of the Day. Best of all, the app works even when there is no Internet connection available. Note: European users should look to the Oxford Dictionary [No longer available] instead. Several of the features are the same, but it provides British English spellings. Nobody actually reads the required texts in English class, right? We certainly didn’t when I was in school, and with the Internet now providing easy-to-digest book summaries to anyone willing to look, I can’t imagine the situation is improving. Perhaps the situation would improve if they stopped ramming Shakespeare down kids’ throats — but I digress. 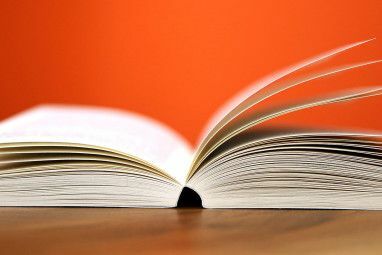 The Book Summaries app will provide you with 32 of the most popular literature class books, including Lord of the Flies, To Kill a Mockingbird, Of Mice and Men, The Iliad, and Macbeth. According to the developer, more titles will be included in upcoming releases. The best part of the app is that all the summaries are available without an Internet connection. That means that if your school bus takes you through the middle of nowhere, you can still do your pre-test cramming. 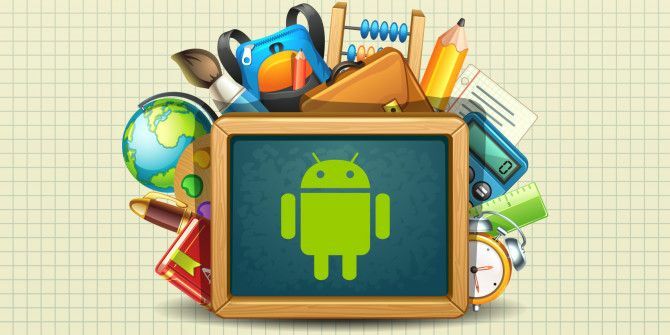 We’ve looked at some of the best math apps 6 Free Android Math Apps to Help You Survive Math Class 6 Free Android Math Apps to Help You Survive Math Class You've got to survive math class one way or another, and these apps will make that journey a thousand times easier. Read More in past articles, but what sets this formulas app apart is that it all covers Physics and Chemistry as well as standard math. It includes a scientific calculator, guidance for common math, physics, and chemistry formulas, a unit convertor, and even support for the periodic table and the various calculations surrounding it. As a nice bonus feature, it also comes packed with interesting facts about the formulas you’re using. The only downside is that it’s ad-supported. Despite its name, there is no “pro” version. Before we delve into the details of Google Classroom, it’s important to be aware that it’s only available to students whose teacher has a “Google Apps for Education” account. Nonetheless, as more schools start to embrace Chromebooks Four Awesome Ways to Use a Chromebook in the Classroom Four Awesome Ways to Use a Chromebook in the Classroom Chromebooks now account for twenty percent of all United States school purchases of mobile computers. What role can Chromebooks play in the education sector? Read More , there’s a good chance your teacher will have an account. If they do, you’re golden. The app can support almost any aspect of classroom life. For example, teachers can share notes with the whole class, it lets you submit assignments through it, teachers can use it to grade tests and supply feedback, and it enables you to easily share resources with fellow students. As nice as it would be to be able to copy and paste your homework straight off Wikipedia, unfortunately, your teacher is almost certainly going to notice. It’s a really bad habit to get into. Pull that stunt in high school, and you’ll probably get detention, do it in college, and you could get kicked off your course for plagiarism Tips & Techniques For Preventing Online Plagiarism Tips & Techniques For Preventing Online Plagiarism Modern technology is making it easier to catch plagiarists, but it’s an irony that technology is also making it easier for plagiarists to evade being caught. The latter phenomenon is for another day as today... Read More . The solution is the EasyBib Citation Generator app. It’ll automatically create citations for your bibliography by simply scanning the bar code on the back of the book you need to reference. Additional features include the ability to keep your own library of frequently-cited books and to switch between more than 7,000 citation styles with one button. 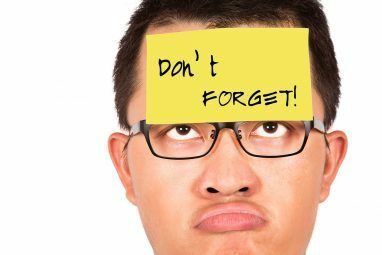 Are you a student who is about to go back to school? Which apps to you rely on the most? Perhaps you’re a parent who’s loading up their kid’s device with everything they need — which are your must-haves? We’d love to hear from you. You can leave us your feedback and thoughts in the comments section below. Explore more about: Calendar, Education Technology, Math. "Nobody actually reads the required texts in English class, right? We certainly didn’t when I was in school, and with the Internet now providing easy-to-digest book summaries to anyone willing to look, I can’t imagine the situation is improving. Perhaps the situation would improve if they stopped ramming Shakespeare down kids’ throats — but I digress." I've never seen more truth in only five lines of text. First, the applause. Thanks for the tip on “Studious." I’ve downloaded it and love it and will recommend it to my students. Also, EasyBib is ingenious and worth the endorsement. 1. Replace “Books summaries” with “Shmoop” and “Sparknotes" apps. The resources are more bountiful than a mere summary. “No Fear Shakespeare” is included with contemporary text next to the original. You can download the classics for free and have them offline. 2. Add a Translink bus app (names vary for your city). These apps text you when your bus is approaching your stop so you can get there in time. They can alert you when there is a problem and recommend other buses to get you home. 4. For middle and high school students, try “Snap Homework.” Take pictures of the board and attach the picture to due dates. Parents and teachers can join, sharing reminders, posts and improving communication so parents can be aware of upcoming due dates. 5. Like “Google Classroom", a teacher needs to sign up for the mother lode of social-media-education experiences, “Edmodo.” The pared-down app includes peer-posts, alerts, due-dates, and teacher posts. The site includes a grade book, hand-in feature, educational apps and private libraries. Parents can view. ***Has anyone found a comparable app to “Companion” for iOS? Finally, you sounded off a few times, so here is the rebuttal. First, a better platform for your unresolved bitterness about your education is a direct contact to the teachers involved, not in an app-endorsement article. Alienating your readership doesn’t elevate your opinions in the mind of the reader. My students and I have a blast acting out Shakespeare. My colleagues work tirelessly at making their lessons engaging and applicable. But when it’s all said and done, the onus is not on us to be entertainers, but rather the onus is on the student to engage in his or her own education. Secondly, how does EasyBib (a great app!) solve the plagiarism crisis? I suspect you have leap in logic between the cut-and-paste temptation and your EasyBib endorsement; are you saying that it is okay to plagiarize as long as you use EasyBib? The cost is greater than a “detention” (in our school it is suspension plus zero). It costs your reputation, work ethic, pride in productivity, and more. If you steal intellectual property in your career, it could cost your job or a lawsuit. Now the alarm sounds-- it could cost you *money*! Finally, if you can’t read through the ninth-grade _To Kill A Mockingbird_ you might want to explore why; there may be undetected learning disabilities. If not, then there may be undetected diss-abilities, namely laziness, in which case all bets are off in regards to the research comment about GPA being an indicator of your success in the working world. If your GPA is inflated by short-cuts due to laziness then it follows that your WPA (Work Productivity Average) will be deflated. Re: the education. I admit it was probably more tongue in cheek comments than genuine complaints. I was fortunate to go to a very good private school and red-brick university in the UK and had no such problems in the classroom, the teachers were all very engaged and we wanted for nothing resource-wise. I am not naive enough, however, to pretend that all schools are like that. I don't believe the onus is on the kids - at least not below a certain age. I think teachers and parents have to motivate the child, and it sounds like you and your colleagues do a great job of that. Sadly, lots of schools are under-funded, the kids are a burden rather than the focus, the teachers couldn't care less about the child's future, and lazy/unruly students are ignored. Teaching Macbeth to an unmotivated child by getting them to read the book and asking a series of q&a tests is pointless, and only likely to disengage them further. I think my experiences and your teaching methodologies are very much in the minority when taken at a national/global level. Okay guy, while summaries are useful, I don't see why you wouldn't do the require reading. It's not like it requires you to sell your soul, you just have to read a little friggin Shakespeare.